Buju Banton’s new album will hit the stores the same day he hit the courts for his ongoing drug battle with the United States on September 13. The album dubbed “Before The Dawn” is the incarcerated reggae artiste's 8th album and features 10 influential tracks written by the Gargamel. Fans in North America will have access to “Before The Dawn” on September 28. Buju Banton has been behind bars since his December arrest, and has been charged with conspiracy with intent to distribute five kilograms or more of cocaine and possession of a firearm. \n\n \n\nBuju Banton’s new album will hit the stores the same day he hit the courts for his ongoing drug battle with the United States on September 13. 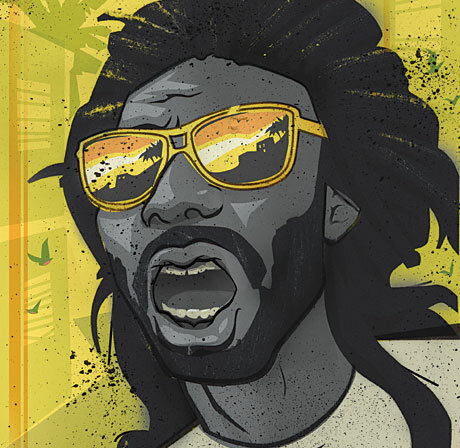 \n The album dubbed “Before The Dawn” is the incarcerated reggae artiste's 8th album and features 10 influential tracks written by the Gargamel. \n \nFans in North America will have access to “Before The Dawn” on September 28. \n Buju Banton has been behind bars since his December arrest, and has been charged with conspiracy with intent to distribute five kilograms or more of cocaine and possession of a firearm.